There are many ways to represent a phenomenon in various ways. Authors of each book would like to find the best way to represent their ideas to convey them as clear as possible. As an unexpected result, we often face different types of notations and definitions describing the same concept. It makes us difficult to grasp the concept of the terms. Differential geometry is not an exception, especially, semi-Riemannian geometry contains some confusing notations and terminologies, due to its inter-disciplinary nature. I believe that it would be helpful to have a collection of terminologies described in a uniform idea and notions. 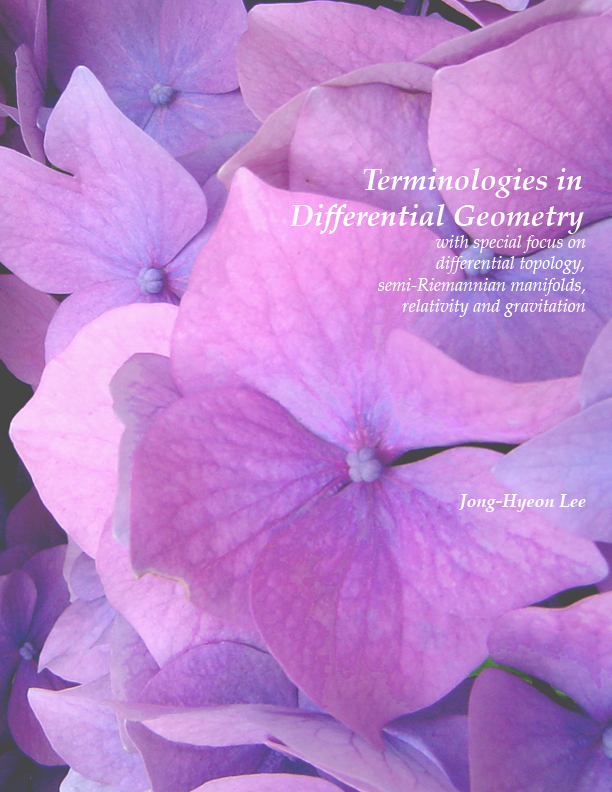 I collected and re-wrote terminologies used in differential geometry, especially in differential topology and semi-Riemannian manifolds. 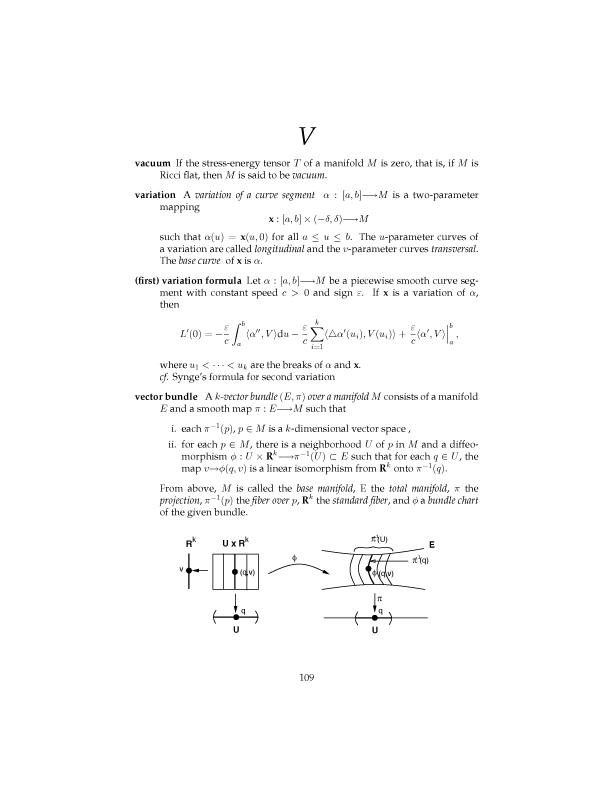 Some terms used in relativity and gravitation were added to this book and represented in mathematical viewpoints rather than in physical viewpoints, since physical representations often become a barrier for mathematicians to understand the underlying mathematical meaning. I wish this book would be any help for people studying differential geometry. If you have comments on this book, please write me your idea at TiDiG.